The BeePro due to popularity is MADE to ORDER and there is currently a short lead time of two to three weeks. 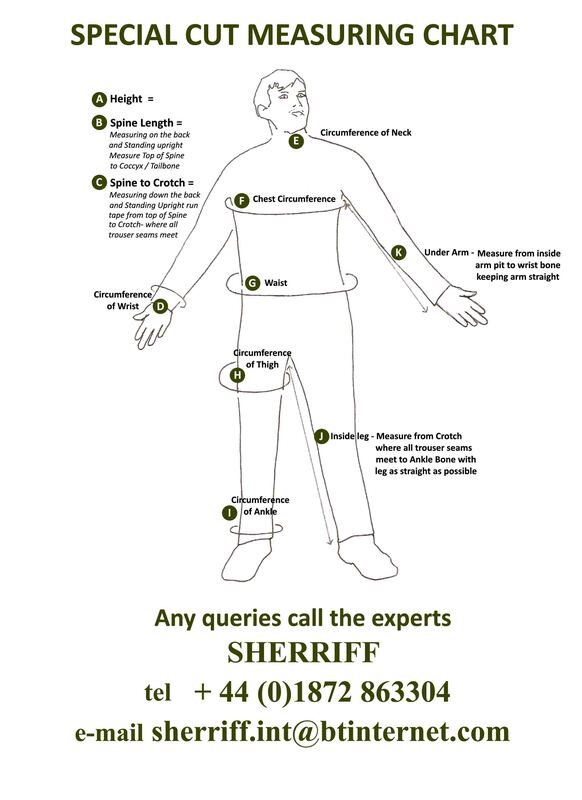 B J Sherriff’s B36 BeePro ultra protective beekeeping suit has been specifically designed to protect those sensitive to bee stings. 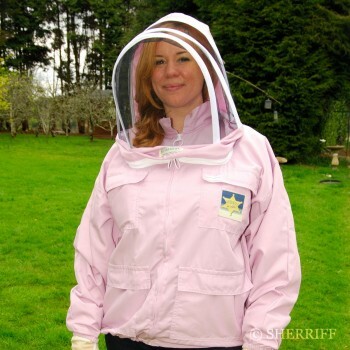 On the outside this suit looks very similar to our S36 Apiarist bee suit, however, the BeePro is quite different …. 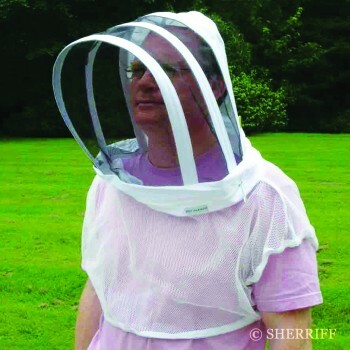 B J Sherriff’s BeePro range features the B36 BeePro a new innovation in the form of a Beekeepers safety suit with a New style net lining acting as an extra Bodyshield. The thickness of the new substantial liner net holds the outer layer of the garment more than the depth of an average bee sting away from the body. The BeePro is fully lined with a deep net in the hood, side veil torso, sleeve and thigh. Extra protection where it’s needed! BJ Sherriff’s B36.Beepro is particularly effective where extra protection is required by the wearer who may be over sensitive to stings. However, our ever popular high quality long lasting S36.Apiarist bee suit offers extremely good overall protection. Our well made bee suit when treated with care and if wash care instructions are followed will serve the wearer for many years. General clothing should be worn under this suit which should not be worn on bare skin. Protective footwear, wellingtons or walking boots with ankle protectors such as our APV or APZ. 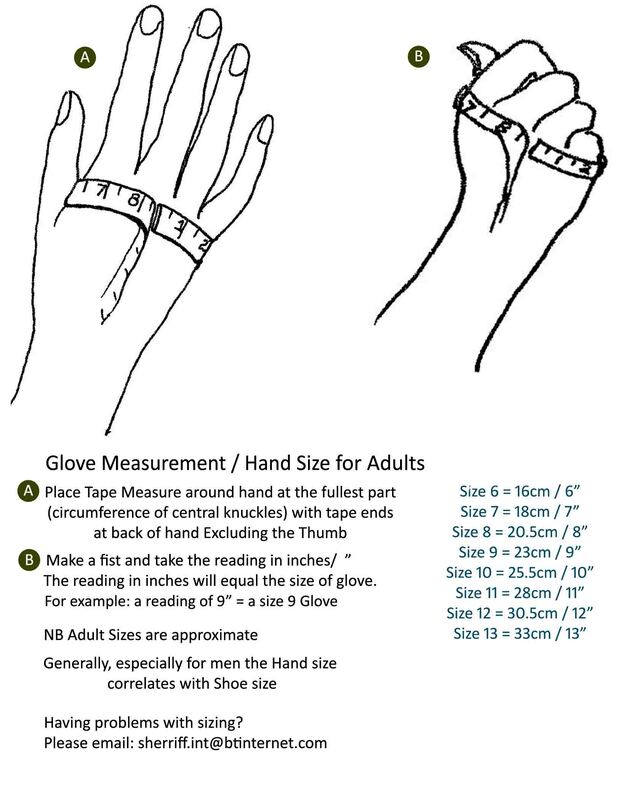 Good quality protective gloves with gauntlets should also be worn and we suggest our GL3. Washable leather gloves or GL6. Washable leather gloves with extra long gauntlets or BGL. Blue latex gloves. 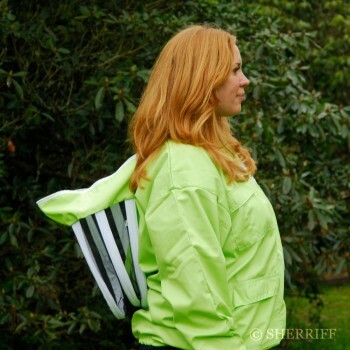 Customers tell us ” I have been using my BeePro suits since I’ve had them and they are entirely wonderful. I haven’t been stung while wearing them and as a result, I am a lot more confident in my handling of the bees and in my safety. I can’t thank you enough ” J.H. Tested in apiaries at home and abroad. Individually made to order only. 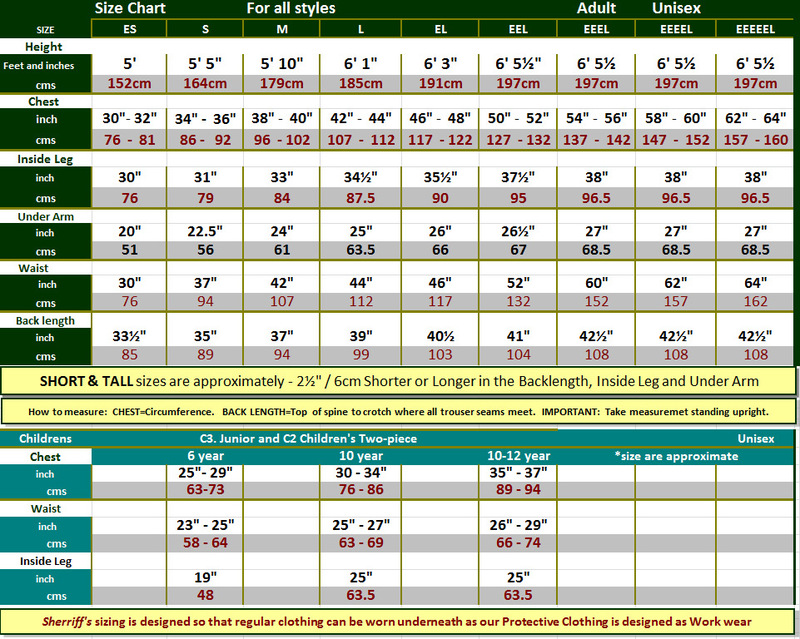 This is a high specification bee suit and you may be asked to complete our special measurement form.